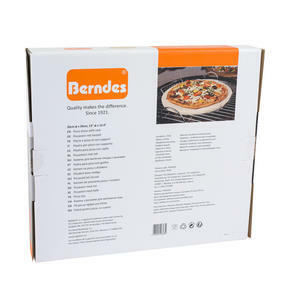 Cook amazing authentic stone-baked pizza at home with this superb pizza stone from Berndes. Incredibly simple to use, just place the stone onto a charcoal BBQ and place your pizza on top for amazing results in a matter of minutes. Made from cordierite, which is resistant to thermal shock, it heats evenly to a high temperature for deliciously crispy bases just the way they should be. The BBQ pizza stone also comes with a convenient rack which makes it simple to lift on and off the BBQ. 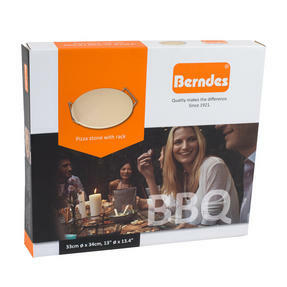 Use your BBQ to make delicious stone-baked pizzas in a matter of minutes with this revolutionary BBQ pizza stone from Berndes. 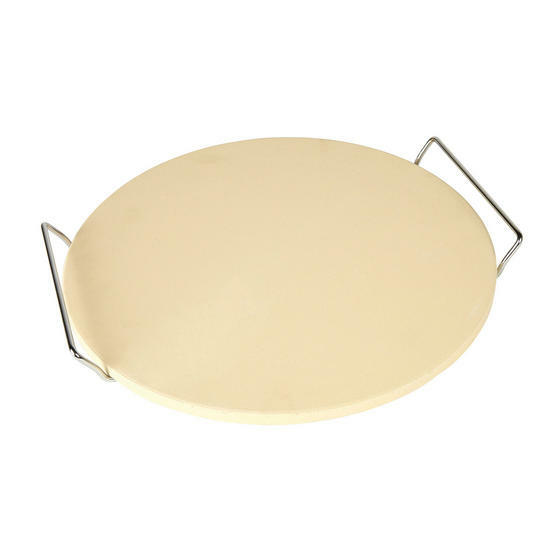 With a rack included you can easily lift your pizzas onto and off the grill so you can cook an authentic pizza without any hassle. Made from cordierite, the stone heats evenly and incredibly quickly so you can get the perfect crispy pizza base in just minutes. 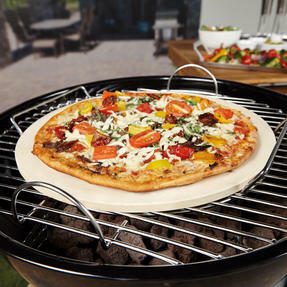 Wonderfully simple to use you can create your own Italian masterpiece by placing the pizza onto the stone and putting it on a BBQ. Using this stone is a great alternative to having traditional barbeques in the summer, it is a quick and easy way to keep guests happy.